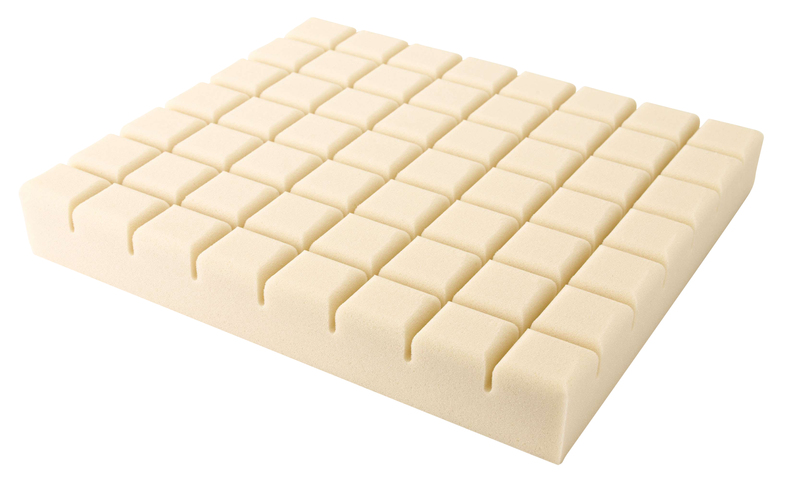 Propad Profile Cushion Designed For Pressure Care. Some users prefer a low profile cushion, finding it more compatible with their daily living activities (subject to suitability). The Propad Low profile cushion is designed to deliver pressure care. The Invacare Propad Original Cushion is made from a layer of castellated foam. Each castellation moves independently to deliver enhanced support and pressure area care to the client, as well as good air circulation, reducing the potential for sweating and associated skin maceration. Contoured seating surface offers improved stability and postural support; castellations reduce shear and friction forces on tissue. The cover helps prevent a build up of sheer and friction forces. Cover is multi stretch , water resistant and vapour permeable. Also has a anti slip base.